This is a description of my first experience mating a dog. WARNING: some explicit language has been used. Sunny was different from our previous dogs. I made sure that I cuddled her and handled her. She was encouraged to come onto the sofa and lie with us. I took her to training classes and paid her much more attention. The boys were already teenagers when she arrived but all visitors to the house were made to play with her. Made to by her, of course, not me. She explained the rules as soon as people arrived: “Here’s the ball. Throw it for me. Then I bring it back. Then you throw it again. And again. And again.” I watched many people being taught this game by her over the years, including grandparents, non -dog owning people and toddlers who couldn’t yet talk and weren’t very good at throwing! When we had a French family stay with us, the children learnt to say “Where’s the ball?” before anything else! I had a vague plan to find a mate for Sunny and someone at a show introduced me to a friend with a nice black and white boy. They felt it would be a great pairing as both dogs were super-fast and agile. I knew that I had to get Sunny’s hips x-rayed and got that done. It involves a general anaesthetic but doesn’t take long and isn’t too hard for the dog as it’s not invasive. I then started to get cold feet about the dog because he wasn’t registered and hadn’t had his hips done. Suddenly Sunny came into season. She was three years old so I knew I had to get going. I did a frantic search online for another stud dog and fortunately, found Julia. She was extremely experienced and knowledgeable. She checked Sunny’s pedigree and agreed I could put her stud dog to her. He was another red and white, a show champion no less and best of all, only lived down the road. The first mating was quite traumatic for me. When we arrived at Julia’s house, there was Wizard, in all his glory. He was beautiful, but seemed so big, compared with my little girl. He was really keen to ‘get on with it’ but Julia made him wait for a while, until Sunny and I were a bit more settled and not quite so anxious. Then there was plenty of sniffing and licking and mounting. I was surprised with how much we needed to be with them. There was a chance that Sunny could have really attacked Wizard, but fortunately he was pretty determined. It was also a bit of a challenge as it was Sunny’s first time, so it was quite a ‘tight fit’. Once he has penetrated and ejaculated, the dogs remained ‘tied’ for around ten minutes. This is where the male stays inside the female, but they turn around so that they are tail to tail. Sunny screamed the whole time he was inside her, yelping as though she was in agony. This was hard for me to take – my poor girl! But as soon as it was finished she was all bouncy and jaunty, almost as though she was ready to go again! Cheeky girl. Even better, when she got home she told Buzz all about it! My next post in this blog will be about the arrival of the first litter. I know some people who believe passionately that all dog breeders are irresponsible criminals and that ALL dogs should be obtained from rescue centres. Trouble is, if everyone really did do that, there would very soon be no dogs left. Also, if we could only get dogs from rescue centres, we’d be left with a load of miscellaneous mongrels. I know that many dog breeders are responsible dog owners who care about the health and temperament of their dogs. These breeders pay attention to who takes on their puppies and do their utmost to support those owners as they begin their journey into dog ownership. If all dog breeders were like this, then all dogs would be better behaved and fewer would end up in rescue centres. It starts with what we, the buying public, want from our dogs. Dogs have been part of our lives for thousands of years and over time our views on what we want from them has changed immeasurably. We do require dogs to perform a myriad of working roles, from search and rescue, to Medical Detection Dogs. We also want them to engage in numerous sporting activities with us, from agility, flyball to competitive obedience. Ultimately though, our demands of our dogs are the same as they’ve always been; we want a companion, a friend, a pet. Someone to welcome us home and to soothe our troubles. We want more and more dogs and we have very specific criteria when looking for a dog. I have any number of people asking for a ‘classic collie’ or a dog with blue eyes. People want a dog at a very specific time, or they want one that doesn’t chew, or shed hair. They want one that is an exact size, or that slobbers, has bulgy eyes, or a curly tail. The challenge is to produce the dogs people want, but to do that in an ethical and sustainable way. What makes people become puppy farmers? Not only the fact that there is good money to be made, but the fact that people demand increasing numbers of particular kinds of puppies. Should you breed from your family dog? What makes a pedigree dog? What are the benefits and drawbacks of a cross-breed? 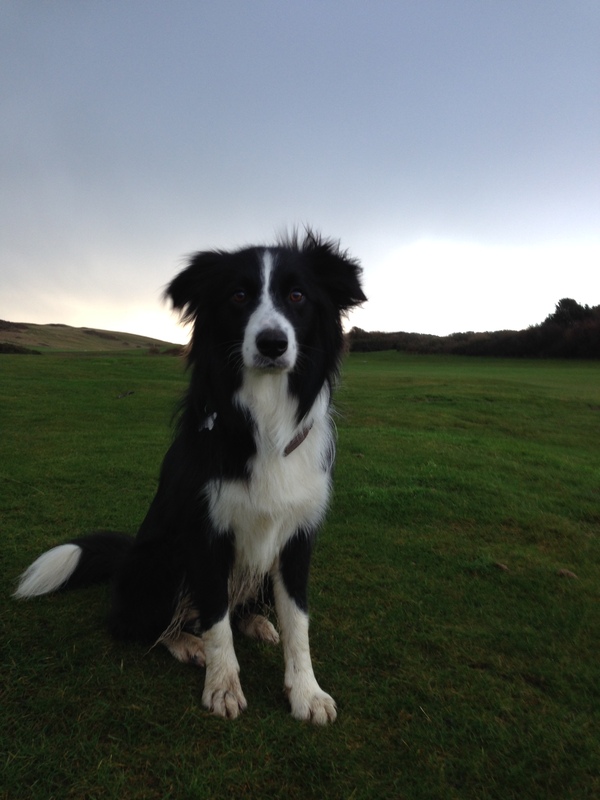 What is the difference between a Working sheepdog and a Border Collie? What should you look for in a stud dog? I remember my mum telling me that there are only two words a puppy needs to know: its name and ‘no’. We’ve come on a bit since then and do try to be more positive with our training, but these are still two important words. How often should you use the puppy’s name? If you spend all day long saying Charlie, Charlie, Charlie, then it shouldn’t be a surprise if Charlie switches off, should it? But if you say ‘Ebbie come’ and wait a moment, she’ll probably come, won’t she? Well especially if you give lovely cuddles and have a bit of sausage! Puppies, just like children, need repetition, but they also need stimulation. If they are just left to their own devices, they will make mischief 😉 So the important thing at this early stage is to use the puppy’s name, but with interest and excitement, and not ALL the time. It’s a slow process, but hopefully, with patience and perseverance, your puppy will soon know their name and even come when you call! Christmas morning walk – it wasn’t raining! They say you always save the best till last and that was certainly true when we were the lucky ones to get the last in the litter! !